When I was a kid, a favorite expression was “If you can’t beat ’em, join ’em.” It sounds like the IMF agrees with that approach when it comes to cryptocurrencies. It was not that long ago the IMF was cautioning about cryptocurrency frauds and warning investors to keep away. But in a new speech, the IMF managing director, Christine Lagarde, has joined the crypto revolution and endorses the use of cryptocurrencies by central banks and everyday citizens. 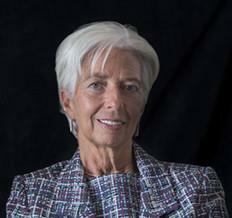 However, there’s a sinister twist to Lagarde’s embrace. While she endorses cryptos at the retail digital payment level, she reminds us in this speech that behind every retail transaction is a payments system controlled by central banks. Hidden behind this talk of digital currency is the more hidden agenda of eliminating all forms of cash. This makes it easier for state power to monitor actors and squash efforts to avoid state control. This speech shows the IMF is a wolf in sheep’s clothing pretending to embrace the new while pursuing the old goals of state control of everyday life.